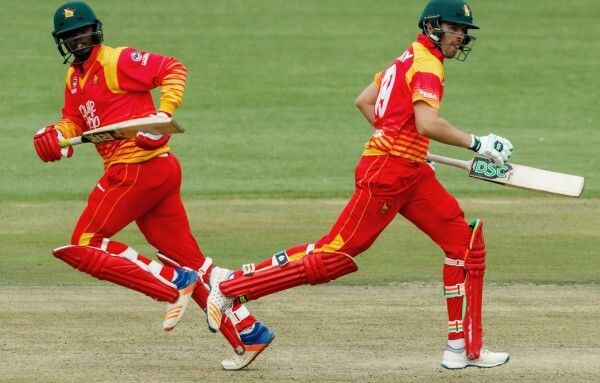 Zimbabwe captain Hamilton Masakadza won the toss and opted to bat first in the second of five one-day internationals (ODIs) against Pakistan on Monday. Zimbabwe's playing XI was unchanged from the first game on Friday, while Pakistan also made no changes to the team that stormed to a 201-run win in that game. The pitch being used for Monday's game at Queen's Sports Ground in Bulawayo has been watered and rolled in the last two days, and with a little sunshine around over the weekend it is expected that it should once again be good to bat on. The new ball does nip around in the morning at Queen's, however, and the players will also have to deal with colder midwinter temperatures, a chilly south-westerly taking the temperature down to single figures ahead of the start of play. Having won the T20 tri-series in Harare as well as the opening ODI in Bulawayo, Pakistan are favourites to extend their successful run. Both form and history are on their side: Zimbabwe have never beaten Pakistan in an ODI in Bulawayo in four completed matches between the two teams at this ground.